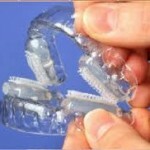 Home » Blog: List of All Articles » Can Anti Snoring Mouthpiece Cause Canker Sores? About 43% of all population is suffering from snoring when they sleep. Snoring is one of the most common causes why a person can’t get a good night’s sleep. The snorer is not the only person who can’t get a good night’s sleep and in fact, the snorer is not usually aware of his or her annoying and disturbing snores while asleep. The person who is greatly affected with all the snoring is the person who sleeps in the same room with the snorer, for the partner is the one who can hear loud snores, which can prevent him or her from falling asleep or staying asleep every single night. 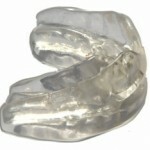 There are a lot of different anti snoring aids available in the market today, to help in treating or decreasing snoring. In fact, a lot of people who snore are already trying and using different anti snoring aids, such as anti snoring mouthpiece. Anti snoring mouthpiece is a type of anti snoring aid that helps in decreasing, if not totally stopping a person from snoring during his or her sleep. Generally, all different kinds of anti snoring mouthpieces created are specially designed to help prevent the throat from obstruction and preventing the soft tissues behind the throat from vibrating, which can possibly cause snoring. In general, most anti snoring mouthpieces are made to move the jaw slightly forward while a person is sleeping to create an obstruction-free airway and prevent the tongue from going down the throat. Canker sore is a type of ulcer that usually occurs inside the buccal mucosa or mouth. Canker sores may be caused by plenty of different factors, including stress, injury to the gums or lips, eating acidic foods and wearing dirty mouthpieces. Since anti snoring mouthpieces are worn all throughout the night, every single night, then it may be a very good medium for bacteria to grow. Failing to wash and clean according to the manufacturer’s directions your anti snoring mouthpiece every after use, then bacteria found in the mouthpiece may multiply and cause canker sores. How to Prevent Canker Sores Caused By Wearing Anti Snoring Mouthpieces? 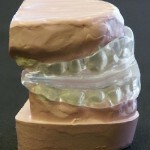 Preventing canker sores from developing due to wearing a anti snoring mouthpiece is very simple. Since we already know that canker sores may be caused by wearing a dirty mouthpiece, washing the anti snoring mouthpiece every after use or as directed by the manufacturer can help in getting rid of canker sore-causing bacteria.